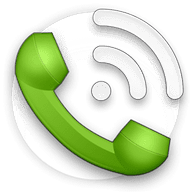 This is the exclusive Call Bomber Script, by dostbook.in using which you can Call unlimited to your friends by entering their number in From below and they will get continues Miss Call, which will irritate them, so have some fun. IF u want stop sending calls just close the tab. You should take revenges on anyone. This way you can send unlimited number of calls. Please be cautious what you are doing. Note: If You Want Protact Your Number For This Call Bombing so enter your number here, your number protracted instant. The trap/script shared here is only for the Educational reason. We are following your IP address, SO PLAY SAFE. Trick with the one’s you by and by know. We won’t be in charge of any sort of misfortune transpired because of this trap/script. Thanks for visit, If you like my work please share this post along the social networks with your friends and all…..! Only 1 call is going please update it.